Designing sites that perform to high standards and increase a company's visibility and name recognition could be a challenge, but the professionals at Huemor Designs are always up to a big task. 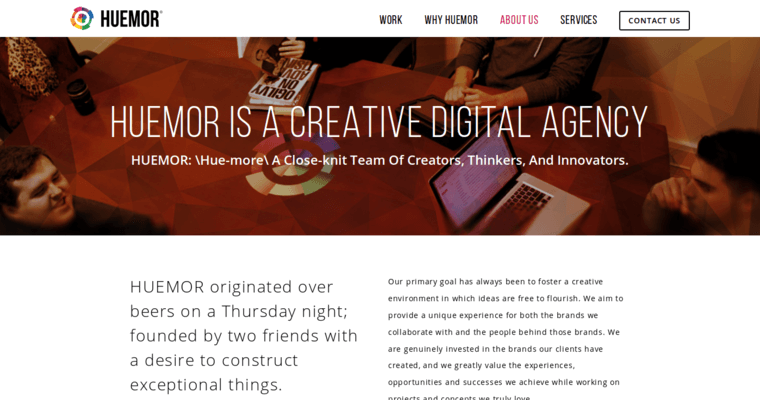 Huemor Designs is known for its innovative approach to taking on complicated endeavors. The firm starts with getting to know the client's needs, market niche and goals for the project. They then work out the solutions that are not just efficient, but effective. Companies are able to see the different versions of the site as it is being built by Huemor Designs. This allows the client to give Huemor Designs feedback as to their satisfaction with the work. Huemor Designs also works with clients to ensure that sites are built in a way that inspires the loyalty and confidence of the people who visit and interact with the site. This is designed to lead to increased e-commerce sales.